OnePlus 5 and OnePlus 5T is all set to get its new update, the OxygenOS 5.1.4. OnePlus has started rolling out the new update to both the models and this time it brings the “Sleep Standby Optimization” option. The main objective of this feature is to improve the battery life on the smartphone. This new option is believed to enable the smartphone to identify the sleep patterns of the user based on the usage of the smartphone. It actually saves the battery by turning off the network during certain intervals of inactivity and thereby giving you a tad bit of extra juice. The company has also brought the July Android Security patch through the new update for both the models (OnePlus 5 and OnePlus 5T). That is not it, the new OxygenOS 5.1.4 brought many other improvements to the device like enhancing the camera results and fixing some bugs to uplift the gallery. 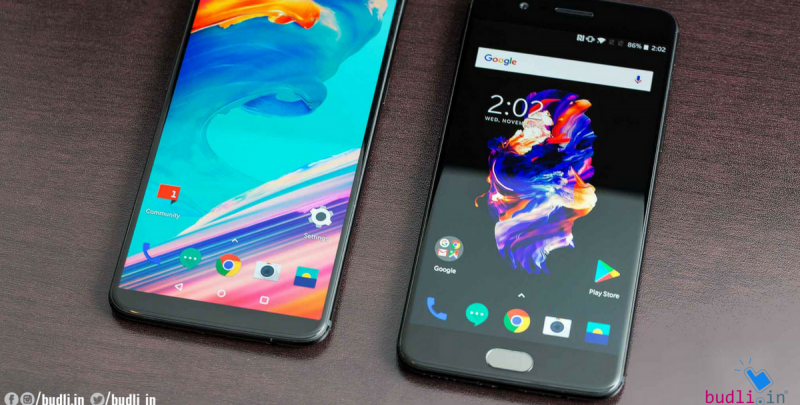 Earlier this month OnePlus 5 and OnePlus 5T received a new OxygenOS Open Beta versions that brought Project Treble Support. The most significant feature introduced is obviously the Sleep Standby optimization option, the company reports that once this option is switched on, the system identifies the sleep pattern of the user based on the usage of the device. Based on the pattern observed the device then turns off the network during those specific periods of inactivity. This indeed helps in saving the battery by reducing the standby power consumption. You must have thought of having connectivity issues when the phone’s network is off, to this the company has stated that the phone gets out of Sleep Standby optimisation before the user wakes up. Let me just tell you how you can enable this Sleep Standby optimisation once you have installed the OxygenOS 5.1.4. You should head straight to the settings and find battery then go to battery optimisation and here you can select the advanced optimisation by clicking on the three dots at the top-right corner. Besides the Sleep Standby Optimisation, the OxygenOS 5.1.4 also brings the July Android security patch. This will improve the photo clarity of the default camera app and help you create memories with much clarity. There is also a group messaging option available in the preloaded messaging app and further, we have some bug fixes for the default gallery. Just like the previous OS updates even the OxygenOS 5.1.4 is rolling out as an incremental rollout. This means that you have to wait for a while until the update reaches your device. The company stated that the update will randomly be pushed out to limited users worldwide. Here is how you can check the availability of the update in your device, go to settings and find system updates and then by clicking Check for updates button on the bottom right of the screen you would have the information. If you are looking to buy the latest smartphone then you better visit budli.in, because it is only budli where you can find upgraded devices at the lowest prices. Budli has got a variety of gadgets to offer from smartphones to laptops to smartwatches and many others. These refurbished gadgets are double checked to ensure the quality before it reaches you. Why still stick to the old devices when you can cleverly upgrade to the latest ones through budli.in.